If you're visiting Hong Kong Disneyland, you'll want to consider staying at a Disney hotel! Here's our review of Disney Explorers Lodge. Seeing so many new Disney resorts in such a short time, I was honestly worried we'd run out of new things to say, but Disney Explorers Lodge has happily obliged and provided us a new perspective! Much like Shanghai Disneyland Hotel, the freshness of Disney Explorers Lodge immediately caught our attention. This is a place that feels new. Not just new, but new Disney. 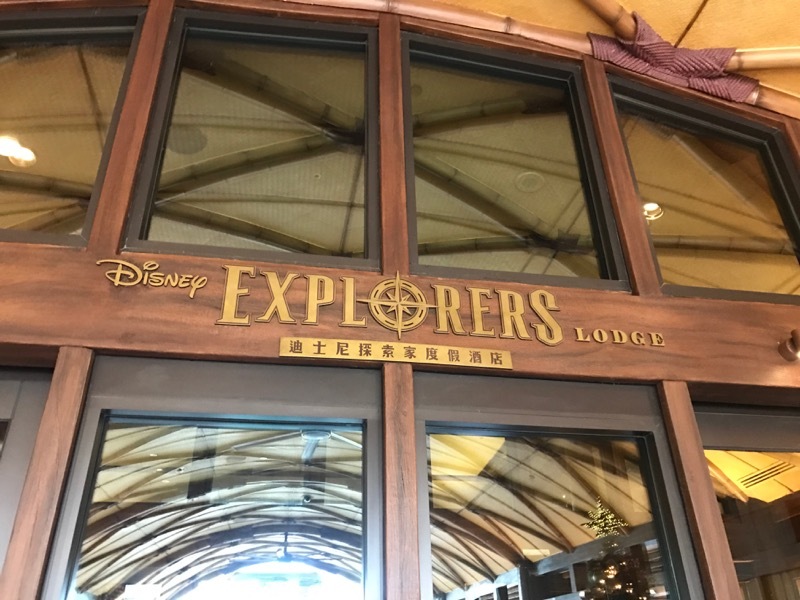 But while we thought Shanghai Disneyland Hotel was an elegant space celebrating Mickey and the traditional Disney spirit, Disney Explorers Lodge was more about celebrating something not uniquely Disney. 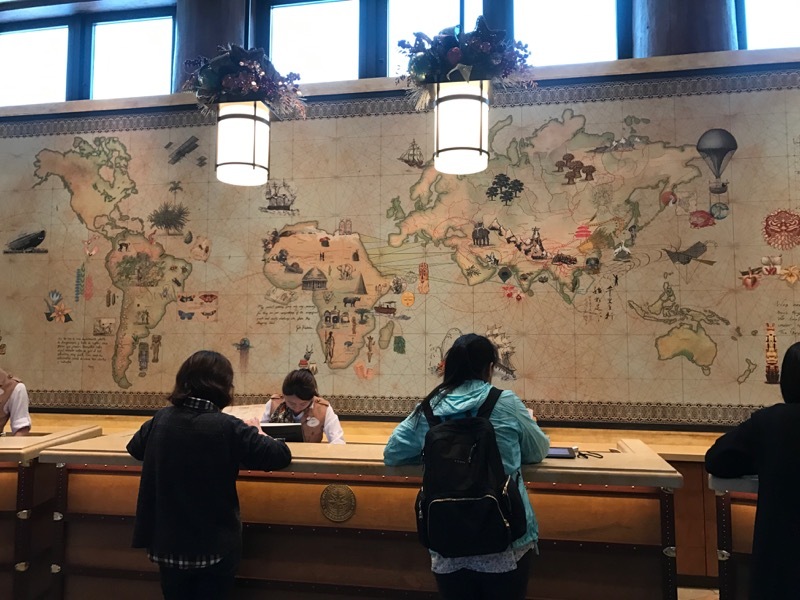 Comparisons to Animal Kingdom Lodge, Wilderness Lodge, and Sequoia Lodge are pretty easy to make, but the truth is that Explorers Lodge is a different place, maybe even a better place. The hotel oozes with a spirit of adventure, almost begging you to go out into the world and explore. There was no shortage of Mickey and Co., to be clear. The major characters even had their own fold-out closets filled with explorer gear in the lobby. But unlike a place like Shanghai Disneyland Hotel, characters were not the dominating theme—exploration was, and we loved this. 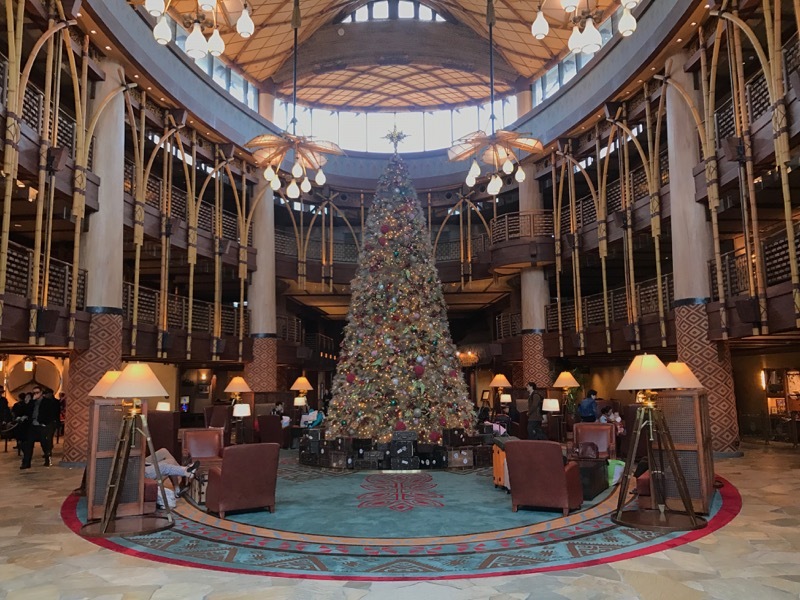 One of Disney's finest lobbies is at Disney Explorers Lodge. Disney is at its best when the characters support, not anchor, a space. You don't need to be told that Cinderella Castle belongs to Cinderella for it to be magical. It is magical on its own. Mickey Mouse doesn't stroll through Adventureland to give it character, the character is built into the details of the land. Explorers Lodge balances these interests very well. Disney is present (so, so present), but not in your face. Exploration and adventure are first and foremost in your face. We booked two nights at Disney Explorers Lodge via the Hong Kong Disneyland website. 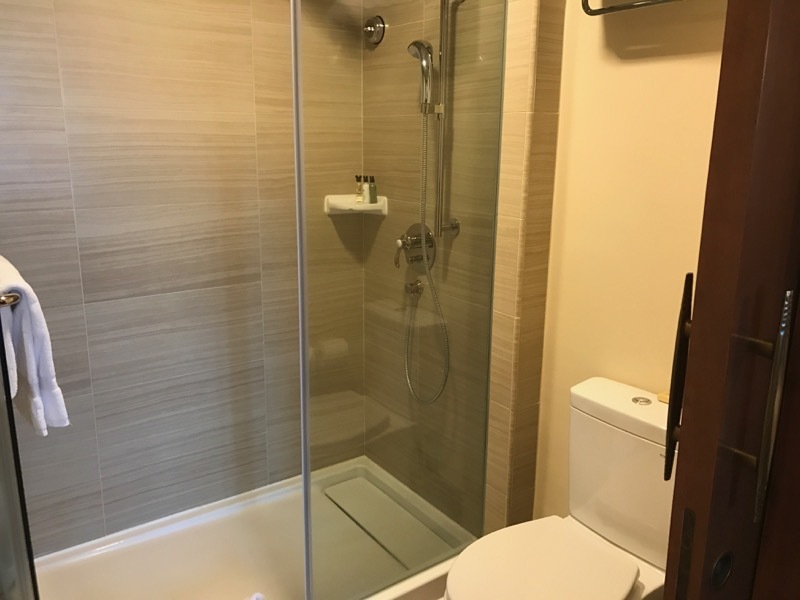 We chose two nights because we wanted to be sure experience all of Hong Kong Disneyland and have time to see the resorts. You can see Hong Kong Disneyland in one day, though, so two nights might not be necessary. We chose the hotel mostly because it was both new and in a price point between Hong Kong Disneyland Hotel and Hollywood Hotel. 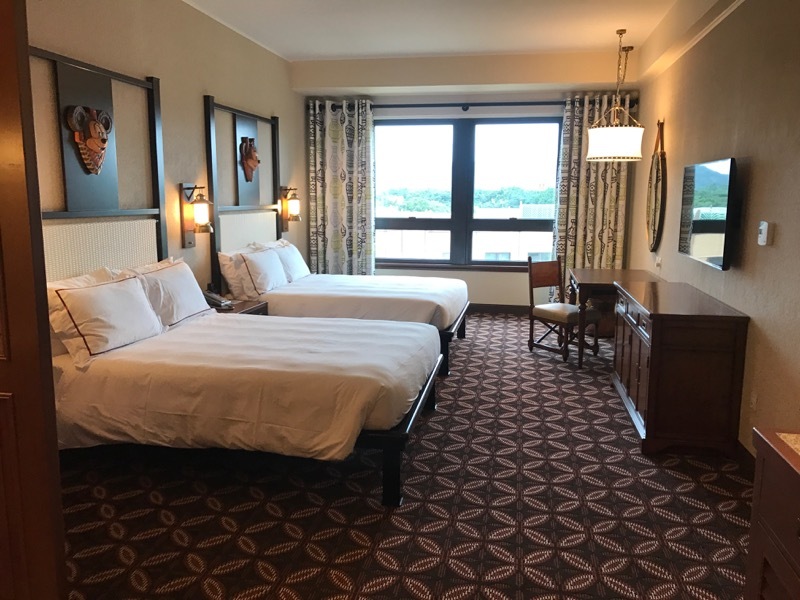 You can book the hotel via third party sites, so you may want to compare rates and what's being offered for booking through Disney directly (usually something like free room upgrades). When we arrived into Hong Kong International Airport, we followed the directions for transportation into the city, and then taxi specifically, and then Lantau Island taxis more specifically. Our driver immediately knew where we wanted to go when we said "Disneyland, Explorer Lodge", and the total came out to 150 HKD ($20) for the 15 minute ride. Check in was very smooth, and despite an early arrival at 12:30PM, our room was ready. The check-in desk has a beautiful world map behind it! Our room at Explorers Lodge, while spacious, was a bit less themed than the rest of the hotel. This didn't bother us, but it was noticeable coming off both the Explorers Lodge lobby and our previous stay at Shanghai Disneyland Hotel. The room did instantly open up as soon as you entered it, which was a nice departure from most hotel rooms we stay in. The beds were more comfortable than in Shanghai Disneyland Hotel, but not quite up to the level of western comfort. We haven't been to Tokyo as of this writing to compare that park. The TV offered a few channels in English, including a Disney movie channel. 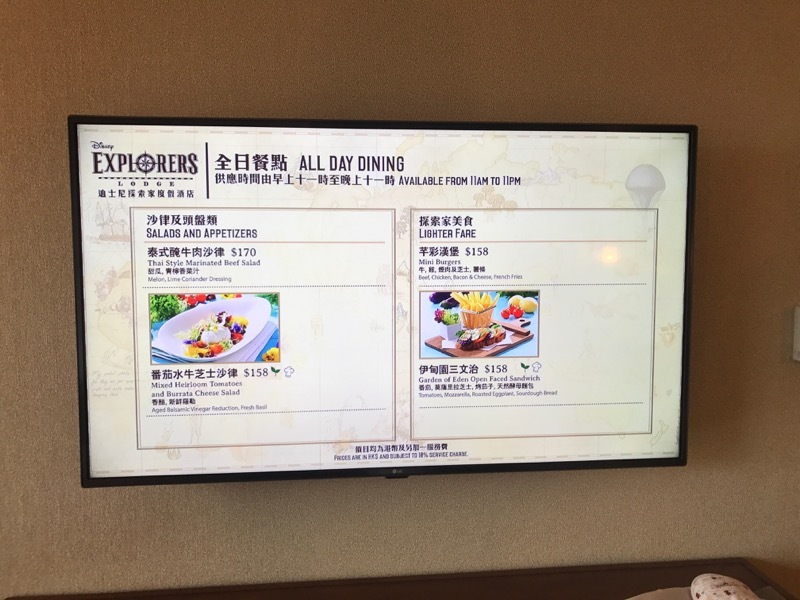 Disney Explorers Lodge also eschews the traditional hotel binder/dining menu for a TV menu, which is okay but not interactive enough. The Hong Kong Disneyland hotels are awkwardly spaced, with Hong Kong Disneyland Hotel being closest to the park (and still about ten minutes away), followed by Explorers Lodge and then Hollywood Hotel. It is about a 20 minute walk along the waterside or street side from Explorers Lodge to the park, but we saw very few people making this walk. The street-side path to the park. The water-side path was just as empty, but maybe a little more scenic. 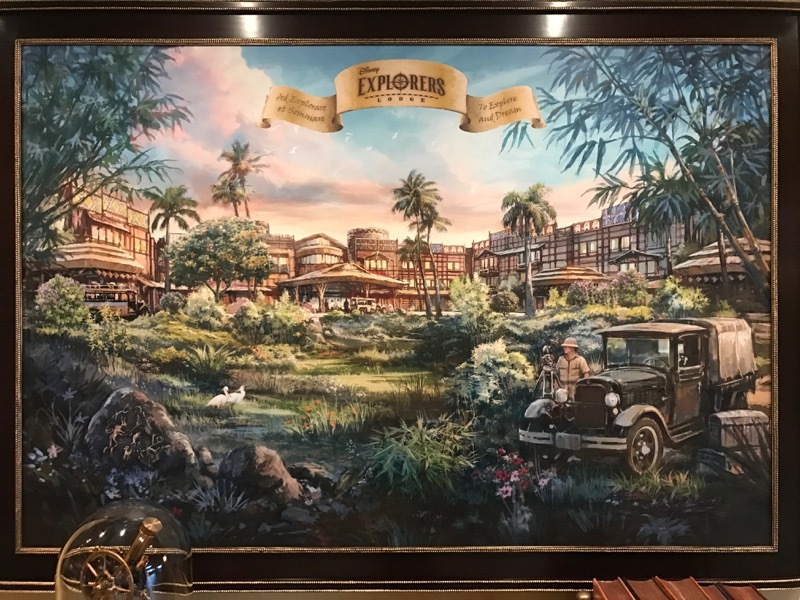 If you're into "Adulting" at Disney, the Explorers Lodge location is good because it neighbors Hollywood Hotel, home to the only all-season bar at Hong Kong Disneyland. Otherwise, going just by distance to the park, the location isn't as good as Hong Kong Disneyland Hotel, but is better than Hollywood Hotel. We are not dining experts. We suggest TDRExplorer's review of Explorers Lodge for dining content. Disney Explorers Lodge falls short on the drinking front. You can buy alcohol at Chart Room Cafe, but it is only open until 10:30PM (okay, not a big deal at Hong Kong Disneyland), and it isn't a bar, it's a walk-up cafe. 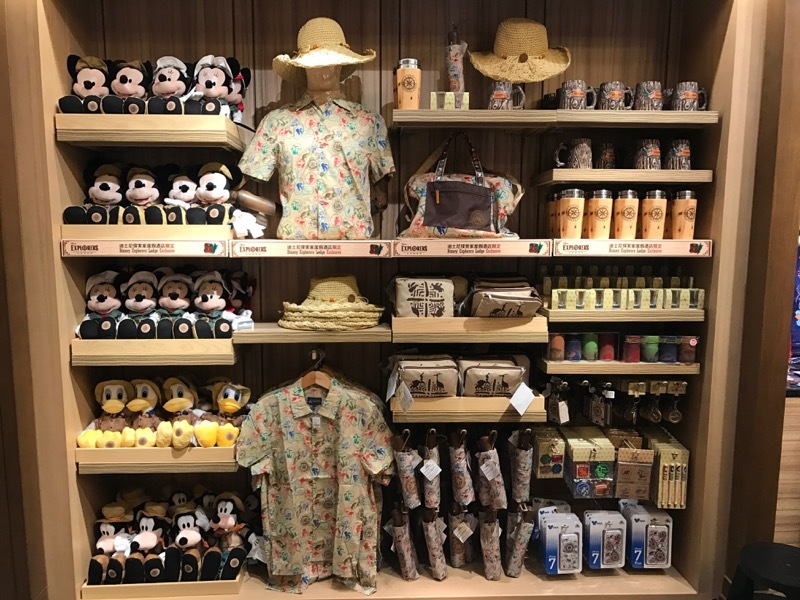 If you want a bar, you have to visit Hong Kong Disneyland Hotel during the warmer months for Sea Breeze Bar or Disney's Hollywood Hotel for Studio Lounge throughout the year. We were quite impressed by Disney Explorers Lodge. It felt fresh, not just as a new hotel, but in its theming and design. While it certainly can be compared in theming to Wilderness Lodge or Animal Kingdom Lodge at Walt Disney World, we actually thought it was quite distinct. There really was a sense of adventure and exploration. Given the price point (in between the other Disney hotels), we'd highly recommend this hotel for anyone visiting Hong Kong Disneyland. Have you stayed at Disney Explorers Lodge? What did you think?